The duo mixes the orchestral and electronic for the score to the Disney blockbuster. The best thing about the film Tron Legacy wasn't the storyline or the visual effects (though they were stunning). What stood out the most was the music, particularly the original score. It was the driving force of the movie and there are few scenes where it doesn't appear. Daft Punk provided that music and it's collected on the Tron Legacy Original Soundtrack. The duo's first original musical work since 2005's Human After All, this is a true score as opposed to a Daft Punk album masquerading as one. While Oscar may have snubbed it, this is a wonderful album and one that has Daft Punk doing things they never have before. Although Tron Legacy is the first film Daft Punk has scored, this isn't their first time dealing with film. Their 2001 album Discovery was turned into the anime Interstella 5555. They also starred in and directed the feature film Electroma which doesn't actually have any of their music in it. Those experiences likely helped prepare them for their work on Tron Legacy. When the strains of the first piece "Overture" kick in, you know this is not going to be your typical Daft Punk album. This piece is orchestral and not electronic. The opening portions are rather low-key and it may be hard to hear them if you're not used to listening to classical music. Towards the end of the short piece, the strings and brass really kick in and it ends in a nice crescendo. The album combines and alternates the orchestral and the electronic. At its best, the results are pulse-pounding and intense. Some of the electronic tracks get a bit more force due to the use of real percussion. The piece "Arena" is one such track. Its simple synth rhythm gradually builds and builds. When the almost tribal beat of the real drums kick in, they add just enough to make your heart race. Other electronic tracks are just fantastic on their own. "End of Line" is a nice piece of midtempo fun. "Derezzed" is quintessential Daft Punk with the four-on-the-floor beats and sounds you'd expect. "The Son of Flynn" has a nice, laidback feel to it while "Tron Legacy (End Titles)" sparkles with energy. However, this soundtrack best shines when the electronic and the orchestral are combined. "The Game Has Changed" is a fantastic track with strings and electronic percussion working together in perfect harmony. "The Grid," which features voiceover work by Jeff Bridges, nicely merges the main orchestral and electronic themes of the score. "Disc Wars" starts out more orchestral and becomes more and more electronic as it goes on. 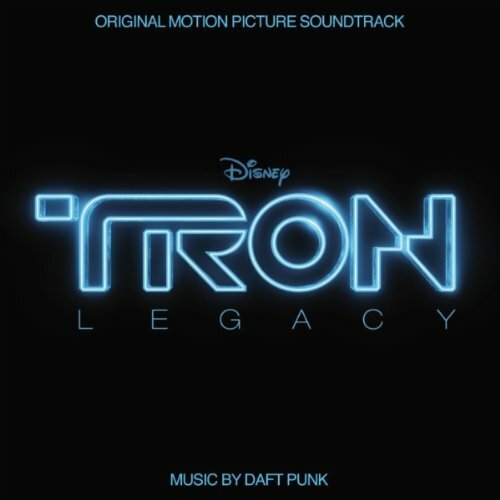 Daft Punk's score to Tron Legacy is a lot of fun and a new wrinkle in their discography. Instead of giving into expectations, the duo took a chance and stepped into new territory. It's hard to believe that the very same people who brought us songs like "Around The World" could suddenly be composing for an 85-piece orchestra. The only real complaint about the album -- the repetition of themes -- is something that plagues many a film score. With this under their belt, it will be really interesting to hear what their next proper studio album will sound like.